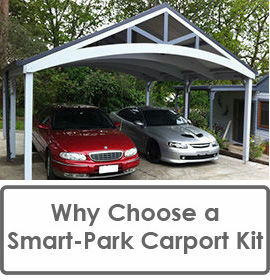 Why Choose a Smart-Park Carport Kit? 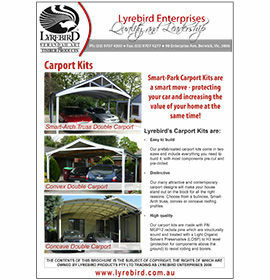 Lyrebird's Smart-Park Carport Kits not only look beautiful, they will substantially increase the resale value of your home. 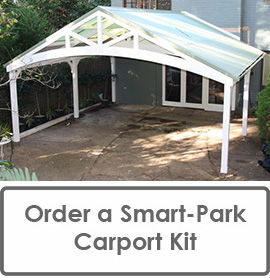 Easy to build - Our prefabricated carport kits come in two sizes and include everything you need to build, with most components pre-cut, pre-drilled & pre-notched for easy DIY assembly. 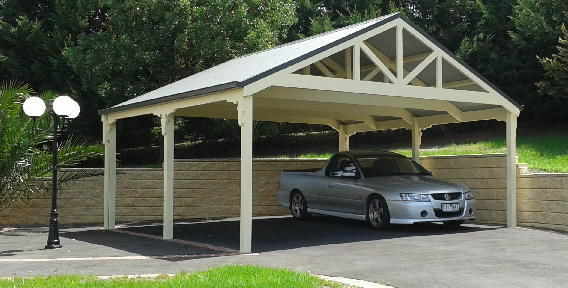 Distinctive - Our many attractive and contemporary carport designs will make your house stand out on the block for all the right reasons. 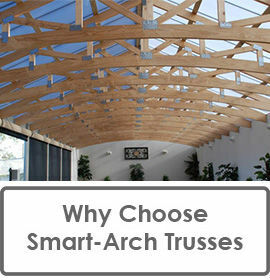 Choose from a bullnose, Smart-Arch truss, convex or concave roofing profile. 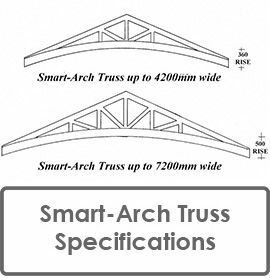 "Your trusses are beautiful and my builder mate who put them up was very impressed with the quality. Everything fitted perfectly." 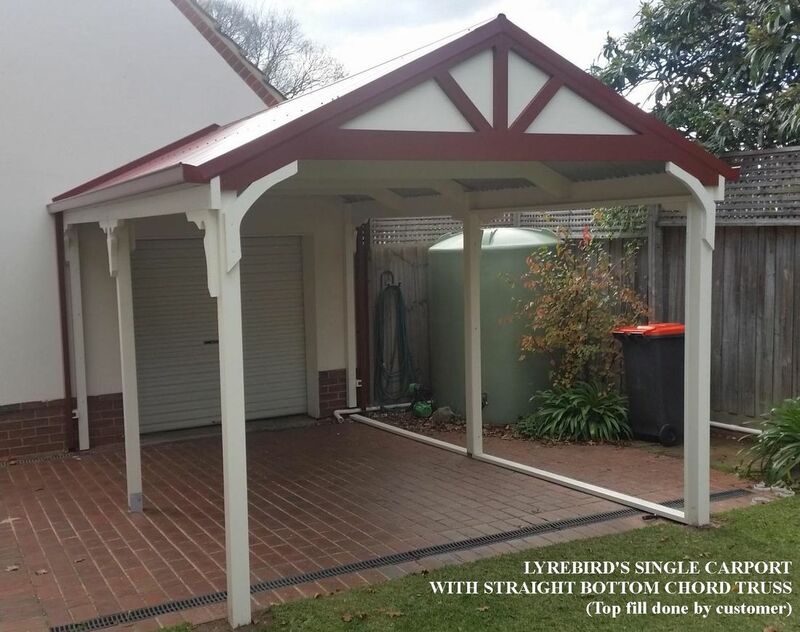 R Smith, another satisfied Lyrebird customer. All hardware, post fixings etc. 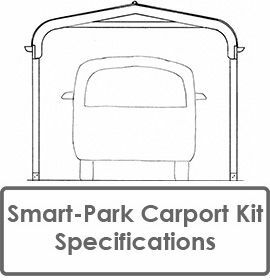 - everything you need to build one of our distinctive carports in a day or so! (You'll need a mate to help you). 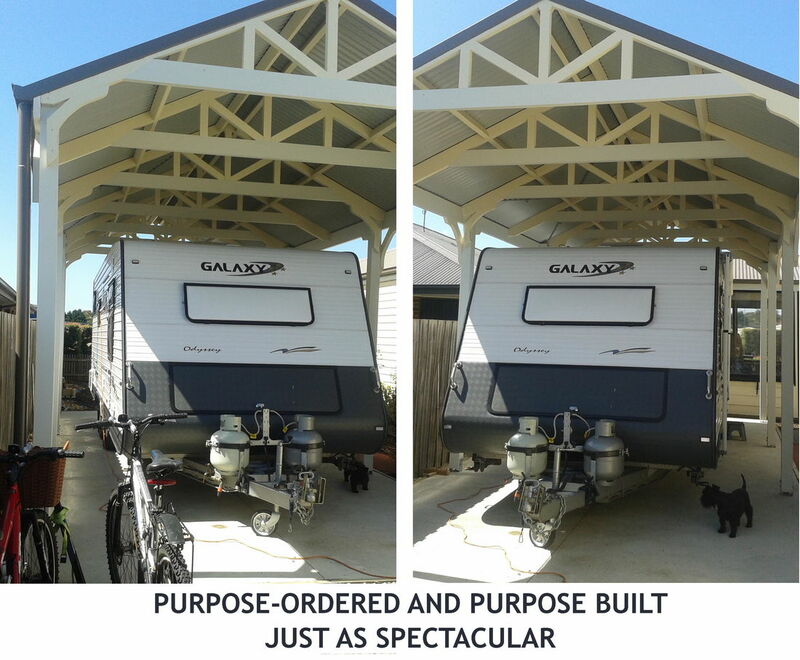 Larger carports will require more time of course, but you'll be surprised how quickly it all comes together. 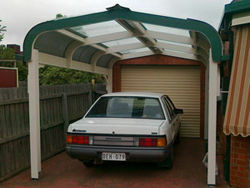 The carport looks fantastic and I am using it today. David did an excellent job, and I would recommend him to anyone. 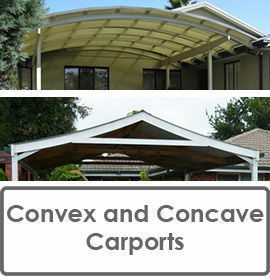 Need to cover an area larger than our standard sizes? 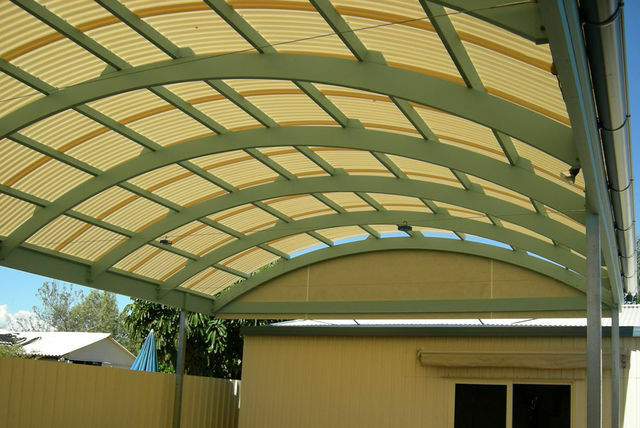 Contact us and we'll be happy to provide you with a quote to custom fit to your requirements. 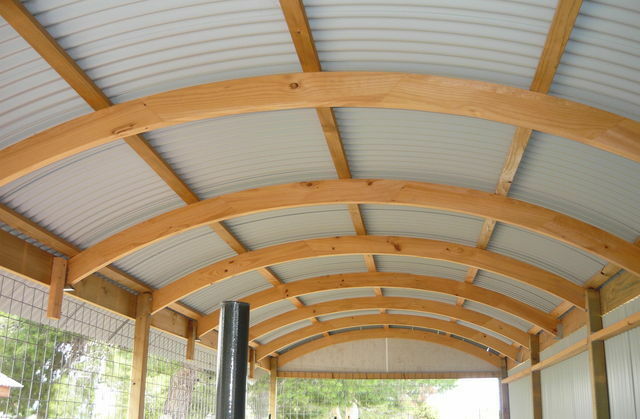 Drawings, building instructions, all framing components, Colorbond roofing and guttering, hardware, post fixings etc. In the standard sizes for Single, Medium and Double as outlined above. Looking for something special or unique? Contact us and we'll be happy to provide you with a quote to custom fit to your requirements. Ready to order? Contact us with the details noted above and we'll provide you with a fully itemised quote or confirmed order. 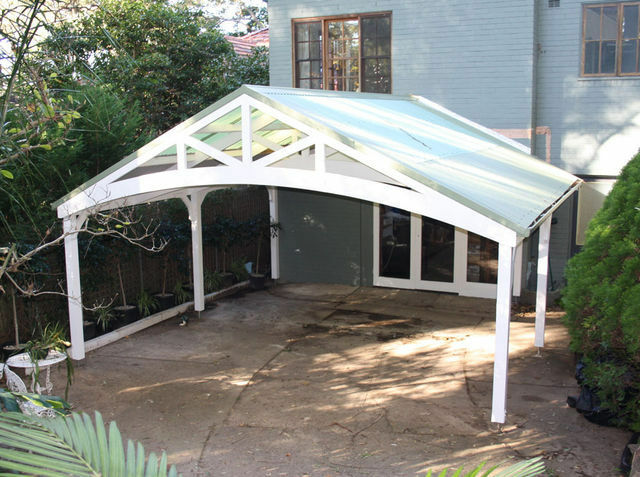 A 4m wide carport - lots of space for entertaining too! 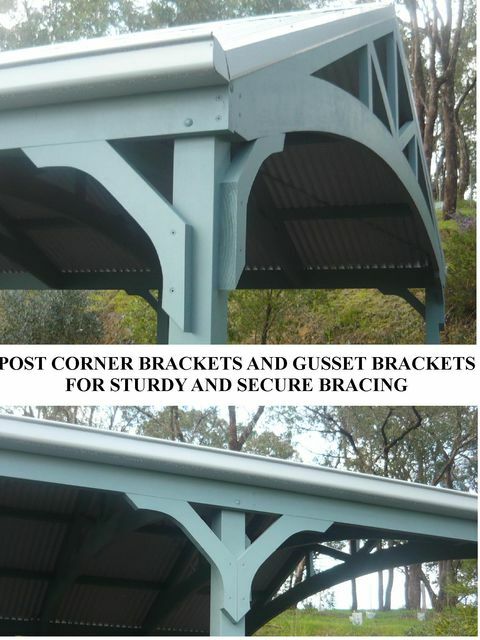 Decorative brackets to brace the posts and trusses! 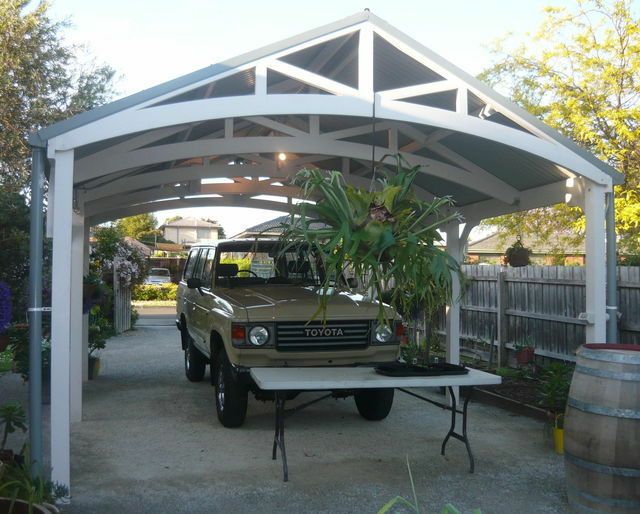 A Smart-Arch truss double carport - What a beauty! 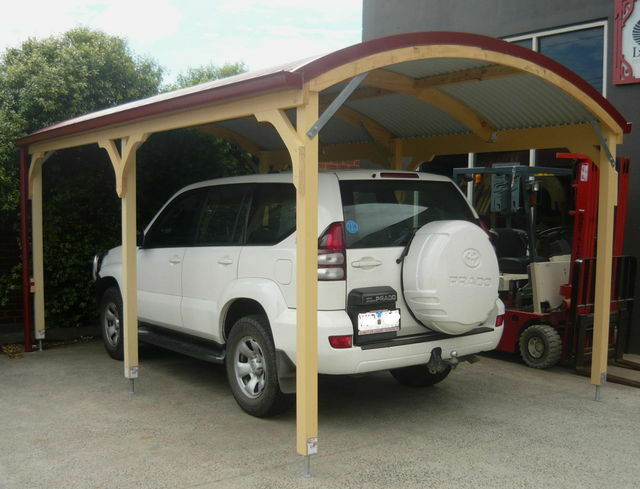 Concave Roofed Carport - Built from a Lyrebird kit by a handyman and a plumber in just 2 days! 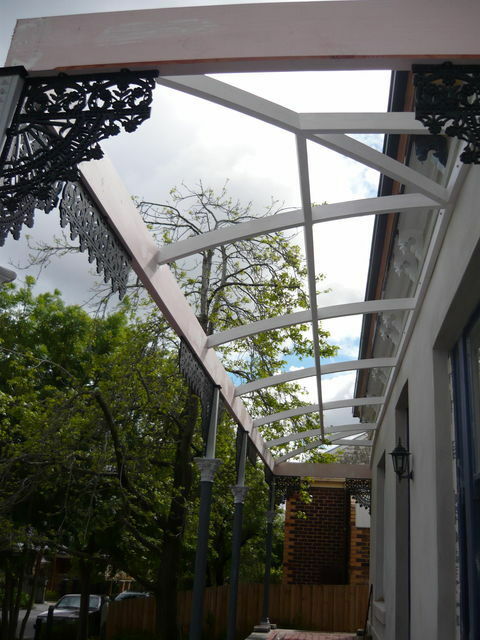 Looking to build a pergola or patio with a difference? 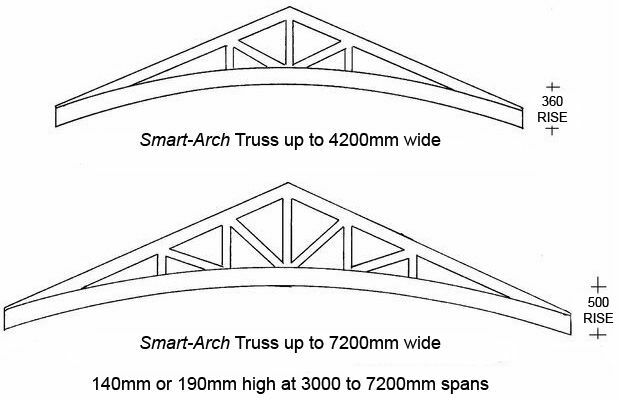 Try the Smart-Arch Truss or Curved-Arch approach. 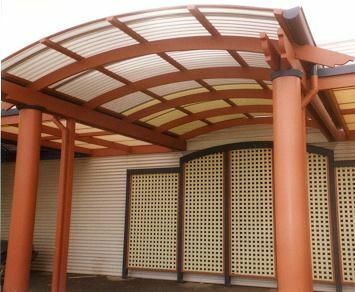 See how you can liven up your entertainment area with a beautiful roof structure that will be a conversation topic in itself. 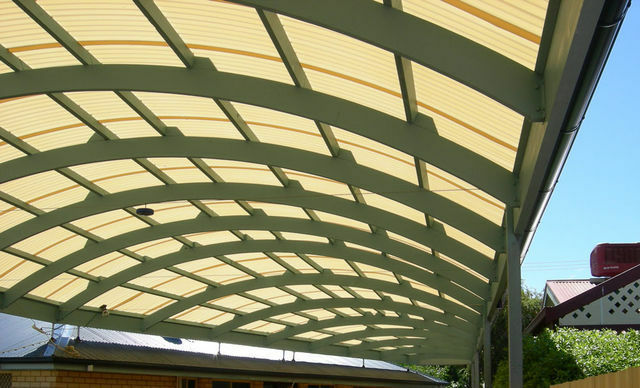 "I must say, I am very impressed with the quality and the finish of the product. Nice to see it all dressed neatly and professionally done. Full marks!" 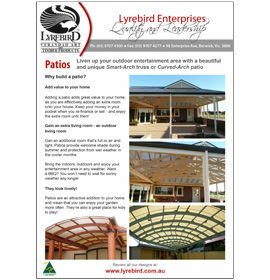 G Moro, a happy Lyrebird customer. 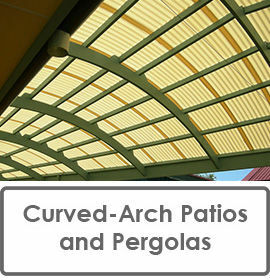 If you're looking for a patio or pergola that's totally unique, call us! 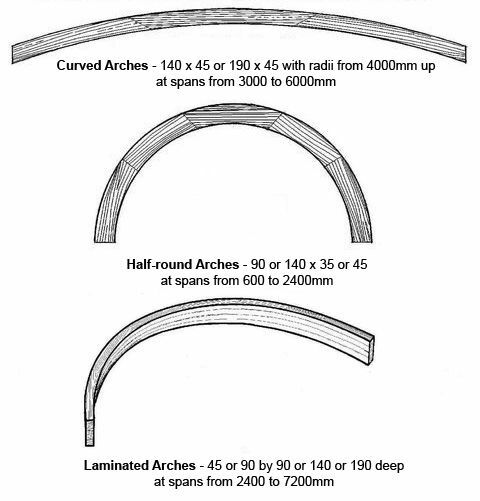 We can custom make Curved-Arches to suit your project needs. How large an area do you want to cover? 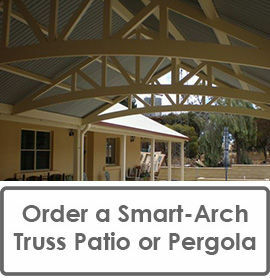 Our patio and pergola Smart-Arch trusses and Curved-Arches come in a variety of sizes and spans. 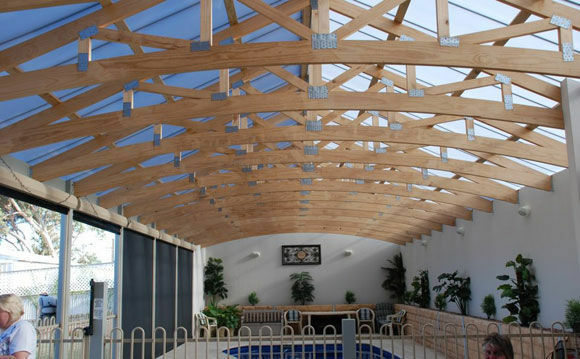 We can even custom manufacture to provide you with a smart new addition to your home. 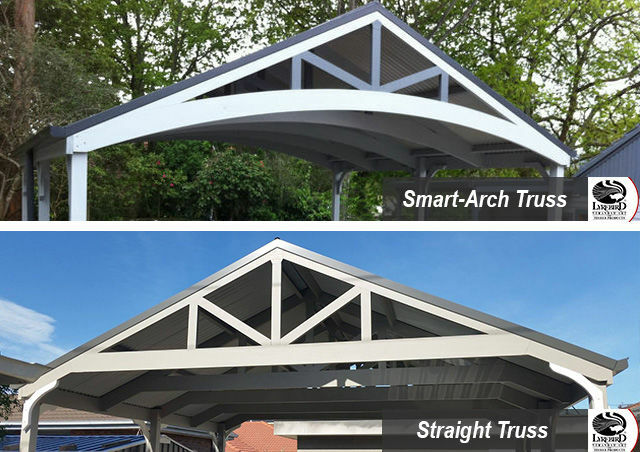 Profile - Are you wating a Smart-Arch or Curved-Arch? Or a custom profile that we can manufacture to your specifications?